From there, the data can be accessed on your smart devices and computers. The Gateway is encapsulated in a weather-resistant housing and is solar-powered with a battery back-up to keep your data flowing. 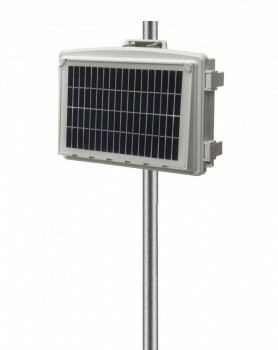 You can gather data from up to 20 Nodes per Gateway as well as a local weather station. That's up to 80 Davis and third party sensors per Gateway! And because the Nodes can communicate up to 1200 meters in ideal conditions, you can cover a lot of ground with one network. You can connect any of the Vantage Pro2 cabled sensor suites directly to a port on the Gateway. See Lookup Table below for model numbers.